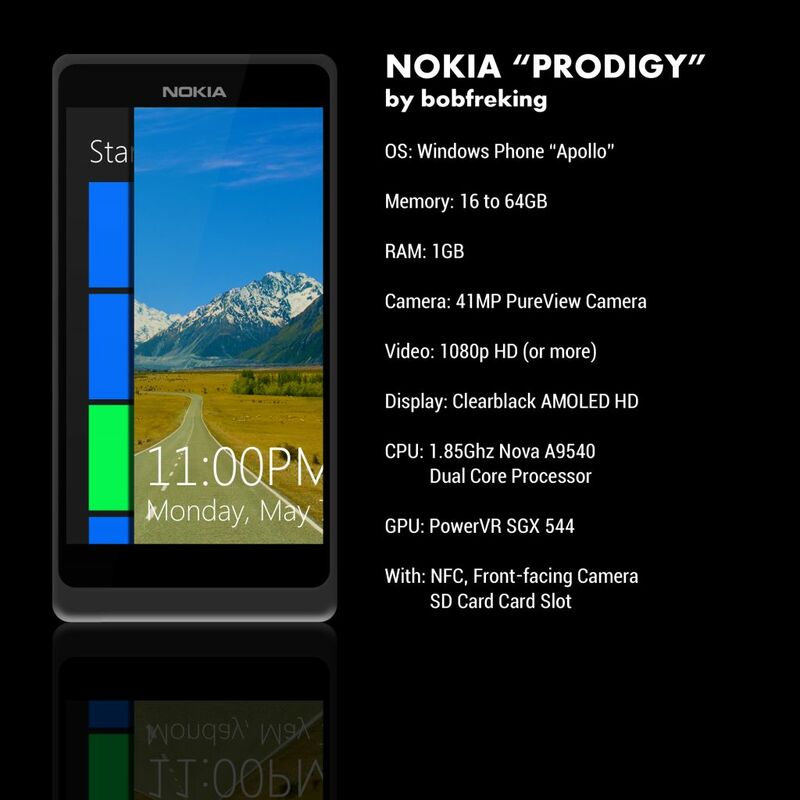 Bob Freking did some research before creating the Nokia Prodigy concept phone and came up with an interesting idea for a Windows Phone 8 device. Nokia Prodigy runs this OS and offers 16 to 64 GB of storage and 1GB of RAM, all of them borrowed from the Nokia N9. At the back we have a 41 megapixel PureView camera, perhaps even a smaller sensor than on the first PureView phone. Nokia Prodigy does 1080p video capture, a ClearBlack HD display with AMOLED technology and inside there’s a 1.85 GHz Nova A9540 processor, a dual core one actually. The GPU is a PowerVR SGX 544 and other specs include NFC, a front facing camera, a microSD card slot and the latest in Windows Phone apps. Skype is also integrated into the experience and available through the front camera. I say that this project is doable and that around this fall or winter we’ll see something like this in the stores. I’m really curios what CPU Nokia will choose and how they will be able to evolve their displays to a modern level. Also, the PureView camera would make a fine addition to a Windows Phone 8 model.